Alvaro Bautista (Aruba.it Racing – Ducati) has maintained his undefeated winning streak in the 2019 Motul FIM Superbike World Championship (WorldSBK) by claiming a double-victory during Sunday’s races at Assen in The Netherlands. A snowstorm delayed Saturday’s race one to Sunday, prompting the cancellation of the Superpole race. 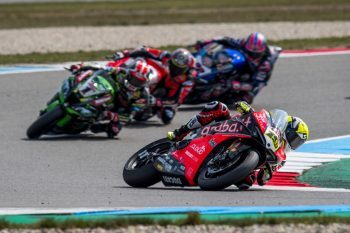 Bautista dominated the opening encounter after starting from pole, earning a 3.130s victory over four-time defending champion Jonathan Rea (Kawasaki Racing Team). Home favourite Michael van der Mark (Pata Yamaha Official WorldSBK) closed out the podium, followed by teammate Alex Lowes (Pata Yamaha Official WorldSBK) and Leon Haslam (Kawasaki Racing Team). 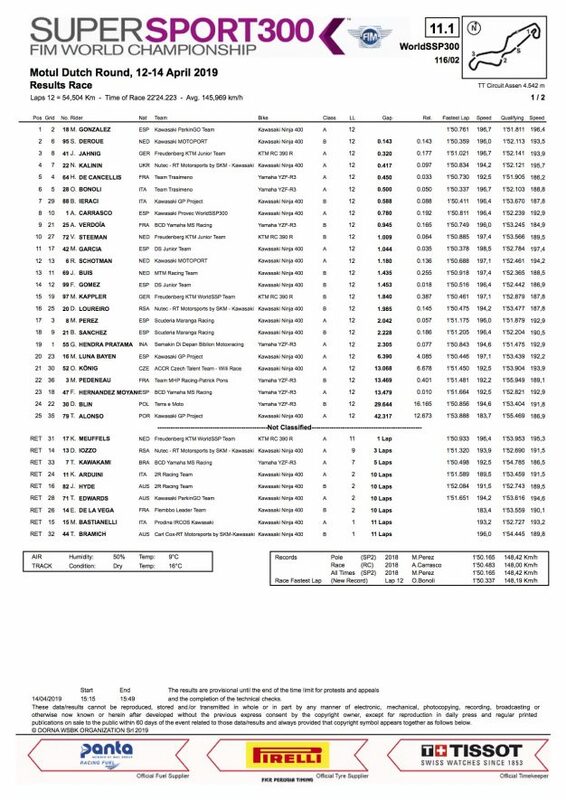 In race two, it was once again a Bautista show he extended a lead of 4.688s over van der Mark as they crossed the line, the Dutchman managing to fend off Rea by just a slender 0.018s. Bautista now maintains an advantage of 53 points in the championship standings over Rea. 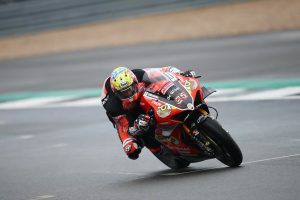 Fourth and fifth were credited to Lowes and Chaz Davies (Aruba.it Racing – Ducati). 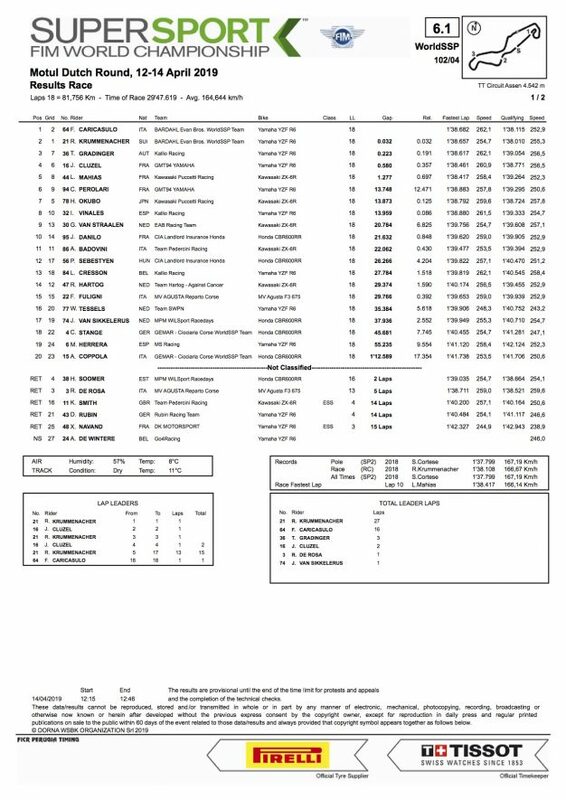 In WorldSSP, Federico Caricasulo (BARDAHL Evan Bros. WorldSSP Team) claimed a slim victory over points leader Randy Krummenacher (BARDAHL Evan Bros. WorldSSP Team), while Thomas Gradinger (Kallio Racing) finished just 0.223s off the competitive duo. 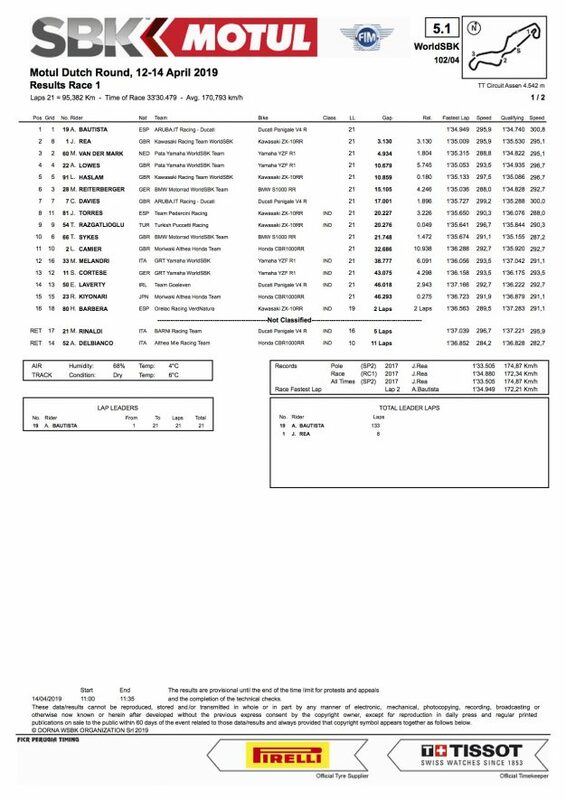 Jules Cluzel (GMT94 Yamaha) was fourth followed by Lucas Mahias (Kawasaki Puccetti Racing). The WorldSSP300 category saw Manuel Gonzalez (Kawasaki ParkinGO Team) earn his second-consecutive victory over Scott Deroue (Kawasaki Motoport) and Jan-Ole Jahnig (Freudenberg KTM Junior Team), while Australians Jack Hyde (2R Racing Team Kawasaki), Tom Edwards (ParkinGo Team Kawasaki), and Tom Bramich (Nutec – RT Motorsports by SKM – Kawasaki) were all non-finishes. The WorldSBK now heads to Imola in Italy for round five, scheduled on 11-12 May.